Before you can understand the benefits of using a ductless system, it’s probably a good idea to understand exactly what that means. A ductless system is exactly what it sounds like. Simply put, it eliminates the duct system throughout your home. A single unit is mounted on the wall inside your home and is connected by a conduit through a small hole to an outdoor unit. No fuss. No hassle. That’s it. 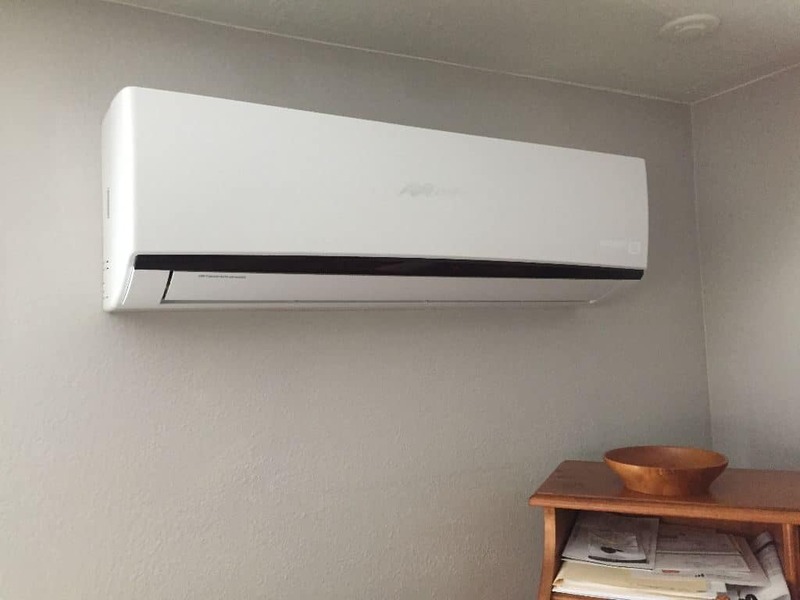 A ductless system is a fantastic option for an area that does not already have central heating and cooling systems: a home addition, attic, garage, shop, or greenhouse. Instead of extending your current ductwork or installing an entire duct system, opt for convenient ductless heating and cooling. It can even be installed in multiple rooms or zones with a unit in each area connected to a single unit outside. Each room or zone can be separately controlled to cater to personal preference. Opting for a ductless system is opting for a more energy efficient unit. The United States Department of Energy reports that you can lose almost a third of your system’s cooling through leaks and imperfections in ductwork. By eliminating ductwork you eliminate the possibility of losing that energy. Because of the ability to control zones independently, you can stop heating and cooling rooms that are unoccupied. Additionally, it is possible you may qualify for a utility rebate the year your system is installed. Be sure to check with Idaho Power here. A traditional duct system can exacerbate allergies, illness, and other respiratory issues if not cleaned by a professional on a regular basis. A ductless system has an extensive filtration process that will reduce the dust and other particles responsible for causing respiratory issues. Not to mention, they are much easier to homeowners to maintain and keep clean. Mom is too cold, dad is always hot, and baby’s room needs to be just right. When it comes to heating and air, one size does not fit all. Rely on a ductless system to provide individualized solutions. Units may be individually programmed so temperatures may vary from room to room. This way, everybody wins. Installing a typical duct system into a home requires a significant amount of time, construction to install components, and will disrupt the day to day activities of its occupants. A ductless system does not require significant modifications to your home and can be up in running in as little as a day. Refrigerant lines and cables connect the outer and inner units through a small hole in the wall and may be inconspicuously extended through the walls, attic, or crawl spaces for multiple indoor units. Using a ductless system is a great option for many different situations. Ask yourself if a ductless system is right for you then call your local experts at Snowflake Air to receive a free in-home estimate for your new ductless system.